This stunning table is called Balance. 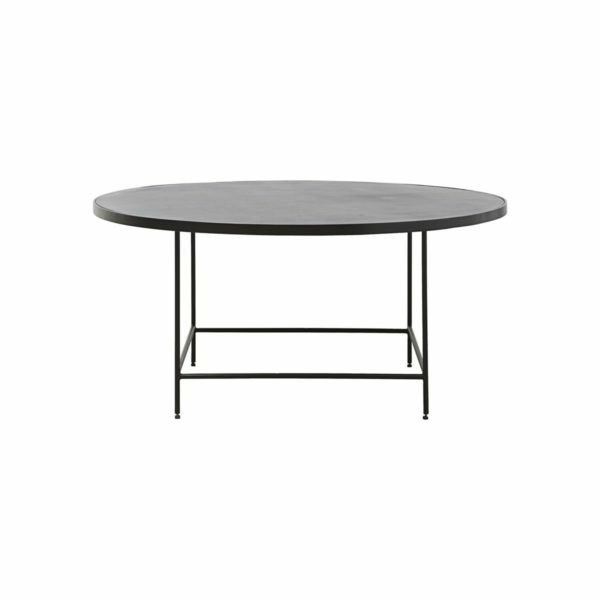 With its clean lines and stylish expression, this table is a perfect addition to any home. The table is made of iron and aluminium which provides it with a gorgeous industrial look that will blend into any type of interior style. 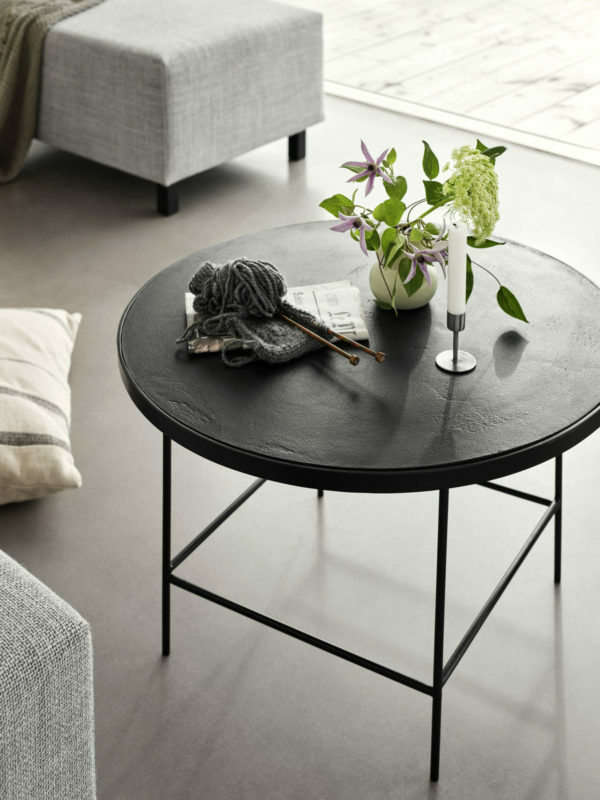 Balance measures 45 cm in height and 100 cm in diameter, which makes it an ideal coffee table or side table for the armchair in your living room. You can also combine this table with a colourful sofa or chair, or integrate it into your home by using other pieces of furniture in the same dark nuance.